Slavi has over 40 years of experience in coaching wrestling both in Canada and internationally. try of Bulgaria. These include the “Cyril and Methodius Medal, Second Degree. 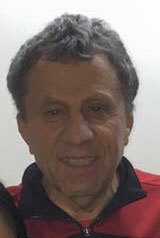 In 1985, he was appointed as an Honorary Coach of Bulgaria. In 2008, the Canadian Oplympic Committee officially recognized his efforts for the preparation of Canadian Greco-Roman wrestler Ari Taub (Calgary) for the Beijing Olympics. Slavi has published over 120 articles and 8 books on the theory and practice of wrestling. These works were published in Bulgaria, Germany and the USA.